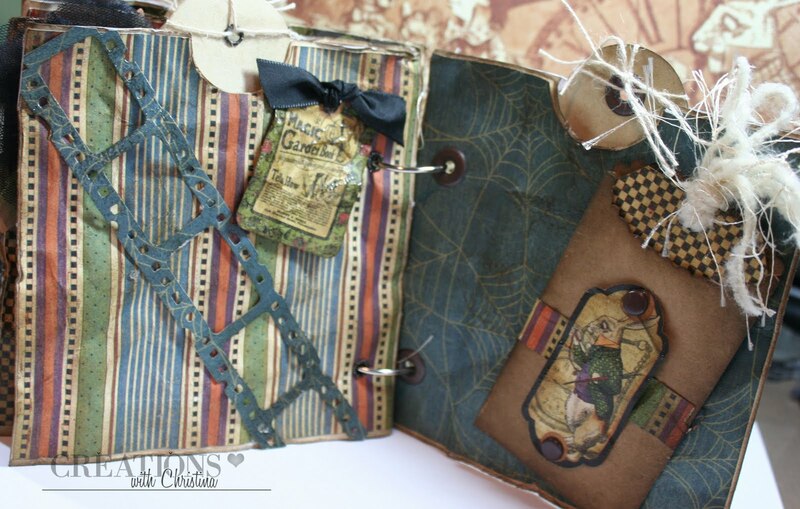 Today I'm back as a guest designer for BlueMoonScrapbooking and we're playing with the new Graphic 45 Hallowe'en in Wonderland Collection. 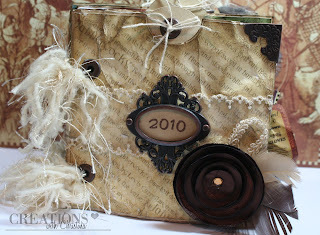 Here's a mini album I made using the collection and a few other fun supplies. Wow this is awesome Christina, love all of the distressing and inking and the flowers and the pockets ok i love the whole lot. Fabulous mini Christina! Those papers are gorgeous. I am heading over to blue moon scrapping now for a purchase. TFS! I went to LSS last week to ask for Halloween papers and she said they are getting this paper in sometime this week! This is very cool. 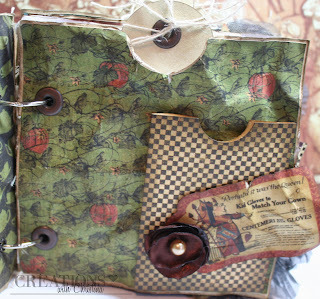 Love all the different things you did to create this very neat album. Thanks so much for sharing. Unbelievable! Your work leaves me speechless. Christina, your mini album is beautiful! Thanks for sharing your creativity with us. Love the papers and the distressing you did on them. This is a great mini-album...I have to get some of that paper! Thanks for sharing your wonderful ideas. Wow Christina, you make such beautiful albums! 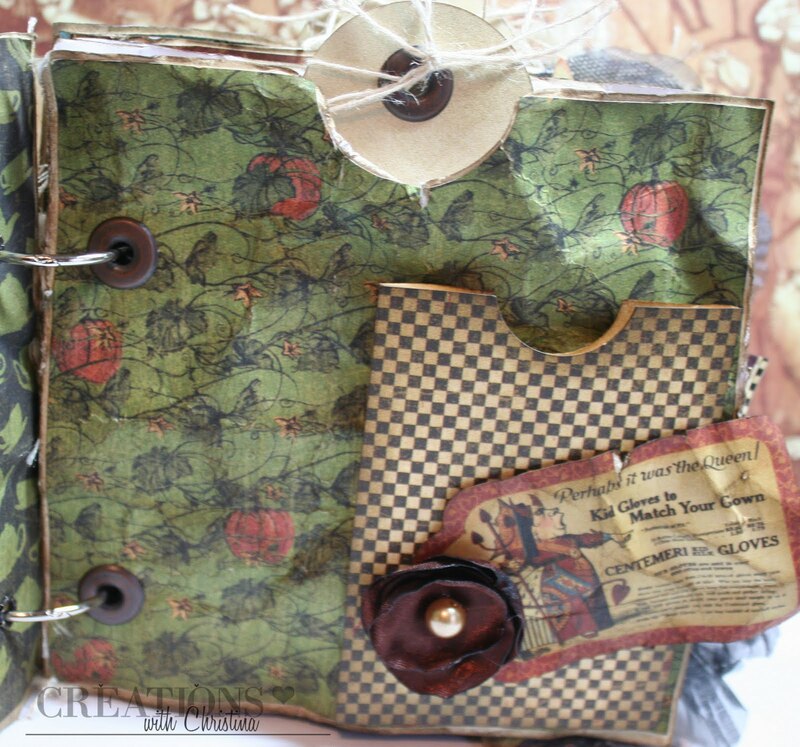 I've only made 3 small albums, one as a gift, one with my grandson's in it, and one of a family christmas a hundred years ago when I was a little girl! I've watched you make them so much that the last time I was out I picked up some of the mini books. When I feel confident enough, I'm going to make one. Thanks for the inspiration! Love the designer papers - they are so interesting and unusual. Also the satin flower on the front is really well done. I can't believe you call this a simple mini. To me it's very very fancy and beautiful. I love the different papers and embellishments. Nice job, Christina. such a beautiful book you made...love how all the papers go together and i think it will be wonderful for a fall memory album. Very nice Christina. I have bought some of these mini albums because I love what you do with yours. I now need to put some of the info you teach into putting one together. :-) Thanks for sharing. Another really cute book, Christina! I LOVE IT! Would love for you to video the whole process of making it so I can watch you as I do one. So terrific. Thanks for sharing your talent with us! WOW Christina! That is BEAUTIFUL!!! I NEED AND WANT that Paper!! I SEE my Johnny Dep written all over it!! lol.....I LOVE HALLOWEEN!! GREAT job my sweet friend! All I can Say Christina is WOW! and Gorgeous!!!!! !